The Roho Quadtro Select Low Profile Pressure Relief Cushion features a 6cm base, which despite being fairly thin uses Dry Floatation technology and ISOFLO Memory Control to offer unparalleled comfort and support. It provides a counter-pressure environment that gives ischemic ulcers on the base of the spine, lower lumbar and buttocks the space and time to recover. 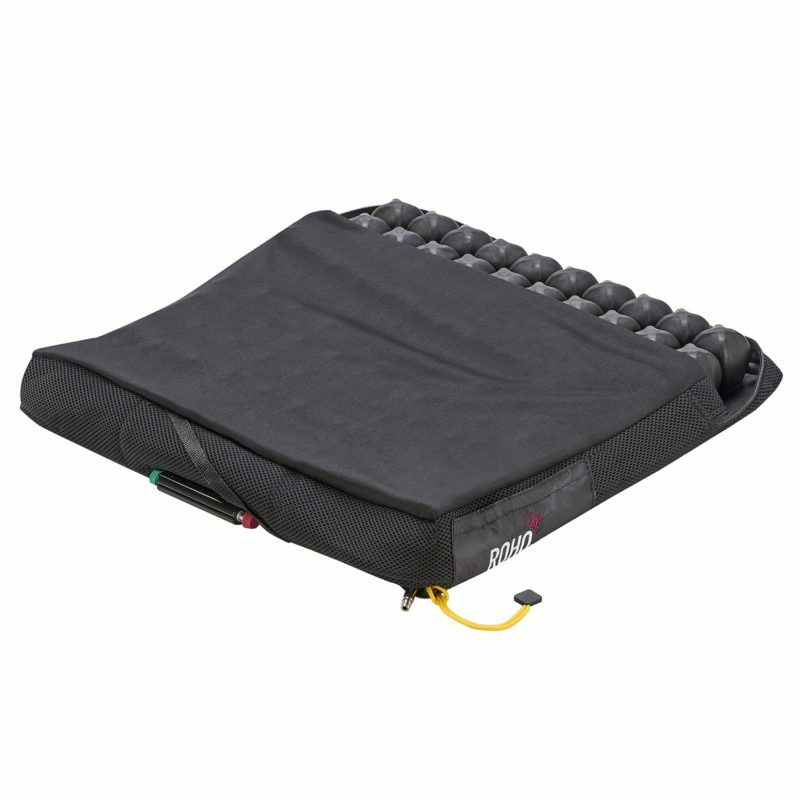 ISOFLO Memory Control works by allowing the user to decide how much air they want to enter the cushion. The air-cell design offers evenly distributed pressure across the entire cushion, which when combined with a comfortable, contoured design, remembers the shape of the user so that comfort is enhanced. Roho is ahead of the market because they designed Dry Floatation technology, which works by mimicking the effect of flotation in water while providing enough envelopment to ensure comfort. 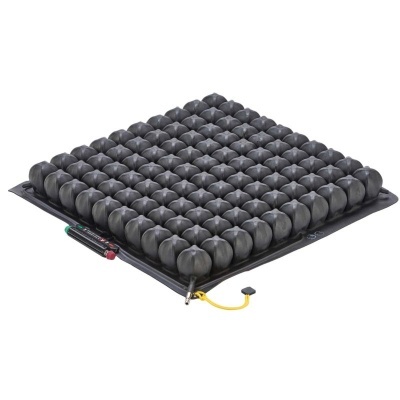 This groundbreaking technology uses air cells that provide evenly distributed pressure across the entire cushion. The even pressure of the cushion is met with an equal force from the user, meaning that blood can continue flowing around the affected area. This ensures comfort while allowing damaged tissue the space it needs to recover. Who is the Quadtro Low Profile Pressure Relief Cushion for? The Roho Quadtro Select Low Profile Pressure Relief Cushion is available in 20 different sizes to meet with your requirements. The measurements below are measured first across the width of the cushion from left to right, and then the depth of the cushion from front to back. The thickness of this cushion is 6cm. 30 x 30cm 12 x 12"
30 x 33cm 12 x 13"
33 x 33cm 13 x 13"
33 x 38cm 13 x 15"
33 x 41cm 13 x 16"
38 x 33cm 15 x 13"
38 x 38cm 15 x 15"
38 x 41cm 15 x 16"
38 x 46cm 15 x 18"
41 x 38cm 16 x 15"
41 x 41cm 16 x 16"
41 x 46cm 16 x 18"
41 x 51cm 16 x 20"
46 x 38cm 18 x 15"
46 x 41cm 18 x 16"
46 x 51cm 18 x 20"
51 x 41cm 20 x 16"
51 x 46cm 20 x 18"